John called people to repent, to clear the decks, to completely reorder their lives so that nothing would get in the way of the Lord's coming. The reading from Isaiah gives the context for this radical call: the assurance of forgiveness that encourages us to repent; the promise that the coming one will be gentle with the little ones. * What do you think it means to “prepare the way of the Lord? * In the past, how has the message that God is coming to be with you in your “wilderness times” broken through to you? * What do you think the author of 2 Peter would tell Christians today about how to prepare for the future? * What message of hope do you want to bring to others? * What challenging words do you hear in these texts? What encouraging words? For the Week: Stir up my heart, O God, to prepare the way of my Lord. Throughout the Day: Advent God, thank you for this time of waiting and preparing. Blessing to Share: “O Comfort my people” says our God. Faithfulness springs up from the earth: Righteousness looks down from the sky. 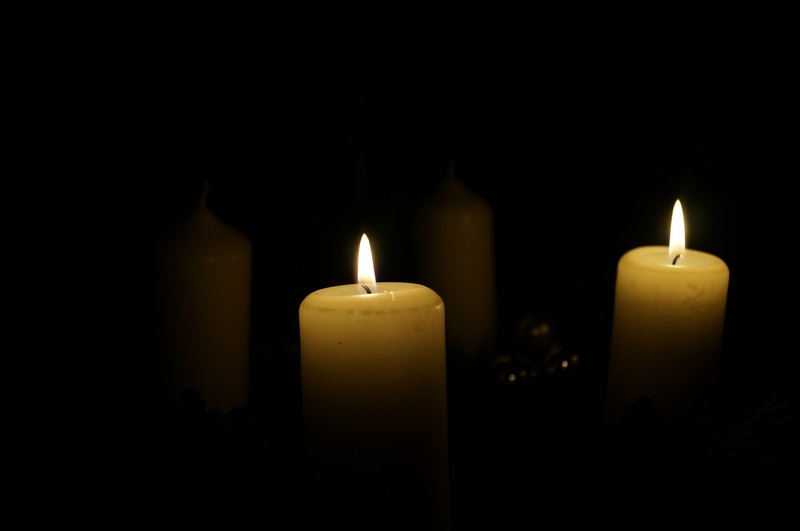 Advent Ritual: Create a Prayer Central for this Advent! Set aside a place where everyone can add prayers graffiti style. Use a large piece of paper, or a notebook, or a white board. Throughout Advent, all in your home can add names of people and places that need prayer, and common themes such as hunger, peace, or love. Encourage all to contribute ideas. $20 can provide a holiday meal for a family in need. The Crisis Center is seeking donations of $20 per meal per family. “Project Holiday” tags are on the table near the office. You can donate directly to the Crisis Center at their website, or mail it in.